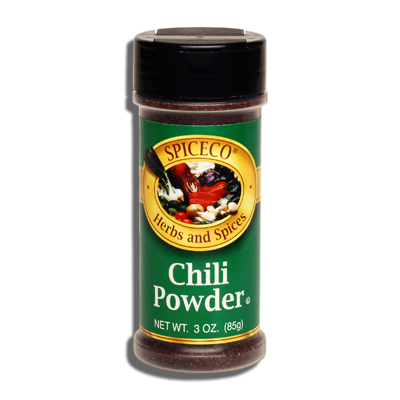 SPICECO, CHILI POWDER (SMALL) | Bende Inc.
Spiceco Chili Powder (small). A blend of chili powder, cumin salt, garlic and oregano. 3 oz (85g).